Season 1 of CBS‘s Under the Dome was chock full of twists and mysteries and reveals, although not the one we want the most. But do we? Do we want to know the how and why of the dome? Nah, bring on another season! And please add in even more of the creepy weird inexplicable elements. CBS’S HIT SUMMER SERIES “UNDER THE DOME” BEGINS PRODUCTION ON SEASON TWO TODAY IN WILMINGTON, N.C.
March 3, 2014 – Production begins today in Wilmington, N.C. on the sophomore season of CBS’s hit summer series UNDER THE DOME. Executive producer Stephen King, the bestselling author of the novel the series is based on, wrote the first episode, which will be directed by executive producer Jack Bender. The second season of UNDER THE DOME premieres Monday, June 30 (10:00 – 11:00 PM, ET/PT) on CBS. UNDER THE DOME was the #1 program last summer, with an average of 15.06 million viewers and 3.9/11 in adults 18-49, making it the most-watched scripted summer series in 21 years. UNDER THE DOME is licensed in 200 markets worldwide by CBS Studios International and is off to strong starts in countries where it has already premiered. UNDER THE DOME is the story of a small town that is suddenly and inexplicably sealed off from the rest of the world by an enormous transparent dome. The town’s inhabitants must deal with surviving the post-apocalyptic conditions while searching for answers about the dome, where it came from and if and when it will go away. Under The Dome has made some additions to its cast for Season Two. 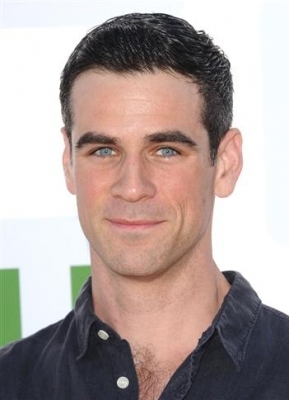 CSI: NY’s Eddie Cahill and Misfits’ Karla Crome have been tapped to become series regulars in Chester’s Mill in its sophomore season. Eddie Cahill will play Big Jim’s brother-in-law, and Karla Crome will join the series as a teacher. Cahill was a series regular for all 197 episodes of CSI: NY, where he played Detective Don Flack. Crome, meanwhile, will make her U.S. TV debut. Under The Dome returns for its second season on Monday, June 30 (10:00-11:00 PM, ET/PT). The premiere episode will be written by Stephen King, whose bestselling novel the series is based on. Under The Dome was last summer’s #1 program, averaging 15.06 million viewers and 3.9/11 in adults 18-49, ranking as the most-watched scripted summer series in 21 years. Under The Dome tells the story of a small town that is suddenly and inexplicably sealed off from the rest of the world by an enormous transparent dome. The town’s inhabitants must deal with surviving the post-apocalyptic conditions while searching for answers to what this barrier is, where it came from, and if and when it will go away. Season 1’s ensemble cast featured stars Dean Norris, Rachelle Lefevre, Mike Vogel, Natalie Martinez, Colin Ford, Alexander Koch, Britt Robertson, and more. Under the Dome, starring Mike Vogel, Natalie Martinez, Britt Robertson, Alexander Koch, Eddie Cahill, Karla Crome, Colin Ford, and Nicholas Strong, premieres its Season 2 on Monday, June 30 at 10/9c on CBS.